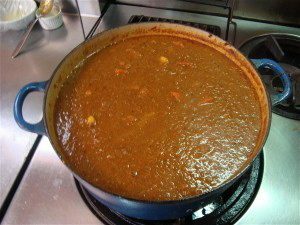 The pictures are from when our cafe makes curry. The ingredients that are listed below are family rather than restaurant sized. Don’t be surprised if what you are making doesn’t make the quantities you see in the pictures!